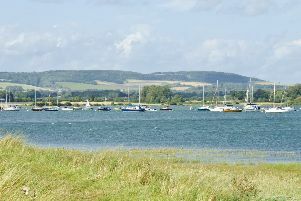 Chichester District Council has pledged to protect Chichester Harbour in response to the Observer’s Don’t Destroy Chichester Harbour campaign. 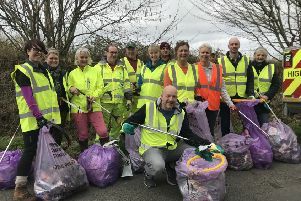 A spokesman for the council said; “The Chichester Harbour is incredibly important to the council, its residents and visitors – and it’s our intention to continue to protect this area in accordance with national policy. “It’s important to point out that the council has not proposed any allocations of land for development within the Chichester Harbour Area of Outstanding Natural Beauty within the draft Local Plan Review. “The council has just carried out an extensive consultation exercise asking for the views of residents, businesses, organisations and partners, including West Sussex County Council, on its draft Local Plan Review. Through this process people were asked to comment on potential areas of development. “The closest proposed allocation to the harbour is the land south west of Chichester, a site owned and promoted by West Sussex County Council. “The map issued to the Observer series contains incorrect assumptions. Only two pieces of land identified on the map have been allocated as potential sites of development within the draft Local Plan – both of which are outside of the Chichester Harbour Area of Outstanding Natural Beauty. Instead, the map appears to refer to land identified in the Housing and Land Economic Land Availability Assessment, which is a technical, evidence base report. “This document does not allocate land for development, but merely identifies land that may be available. This is a requirement of government as part of the plan making process. It is incorrect to assume that all land in the document will be put forward by the council for development. “Our planning policy team is currently reviewing all of the responses from the consultation exercise, before updating the draft plan to take account of the feedback that we have received. All responses from the consultation process will be published on the council’s website at the end of this week. “These include comments from West Sussex County Council, which were supportive of the draft plan and which suggested that it should accommodate more housing on the proposed site allocation south west of Chichester. “Once the plan has been updated it will be considered by the cabinet and then the full council. Following this, residents and businesses will then have another opportunity to have their say, before a formal examination of the plan.